High-flying graduate Jessica Elson is the latest recruit at Bromleys. in the employment and litigation team. As well as gaining experience in employment and litigation matters, she will work with the care team. 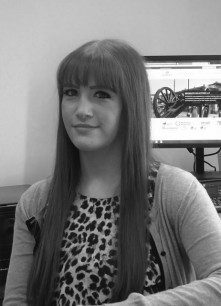 She has joined Bromleys as a paralegal with a view to starting a sought-after training contract with the firm. Jessica, who previously worked in the family department at a Manchester city centre practice, graduated from the University of Manchester in 2015 with first-class honours in law. She then obtained Legal Practice Course and Masters of Law qualifications at the University of Law in Manchester, where she gained a distinction. Mark said: “We are always seeking to recruit new talent and, when the right candidate comes along with the right credentials and work ethic, we have no hesitation in offering them positions. Jessica said: “Bromleys has a great reputation, not just in Tameside and east Manchester but further afield.